If the preheating temperature is above 90 °C, the meal is not only retained hot, but also cooked in its own heat. Bring to an end cooking process that has already begun - the most valuable application. Keep hot already cooked meal for a long time. Keep cold pre-chilled food and drinks for a long time. The precooking time is not more than 20 min. ; depending on the dish it can be reduced to 1 minute. Applicable to all types of meat and vegetables, which can be prepared by the process of stewing. Allows usage of any pot material. Long handles types (pans, casseroles) can also be used in Grossi. A lid is obligatory. The food cooked by Grossi has excellent taste and preserves the natural nutrients, its form and integrity. Burning or drying food is not possible. Compatible with all types of energy as a preheating method - electricity, gas, solid fuel or solar. 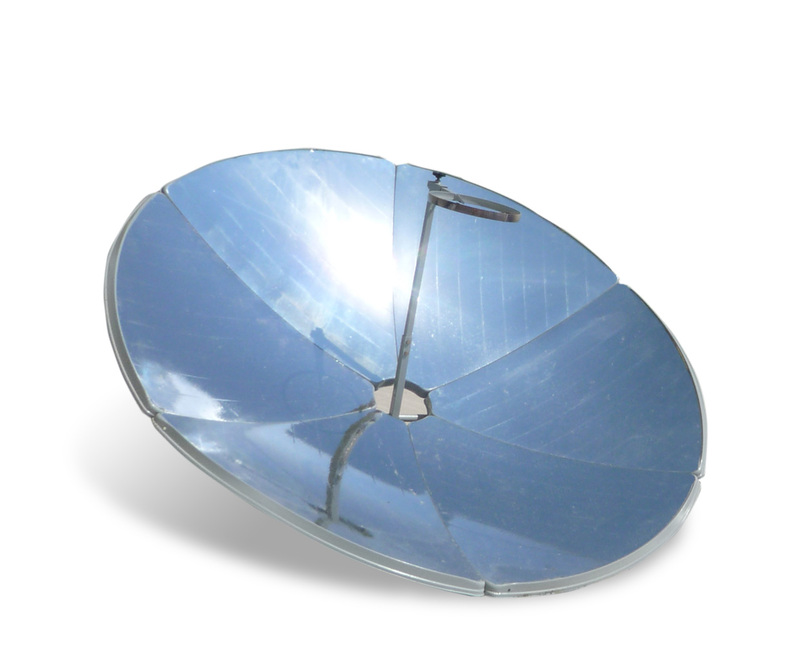 Fireless cooker is a necessary complement to solar cooker, which reduces the effects of bad weather. Fireless cooker most valuable advantage: saves cooking energy, hence money. Step 1. The pot with foodstuff is placed on the stove and boiled. Meat, beans and other stuff requiring a prolonged heat treatment, boil 20 minutes. Vegetables, potatoes, pasta - 1-2 minutes. Step 2. The pot is removed from the stove and placed at the bottom of the fireless cooker. Cover with insulating cushion. The box being finally closed. Step 3. The pot is pulled out after the required cooking time. If you are still not ready to eat, you can leave the pot in Grossi, where the food remains hot for hours. Recommendable pot filling is above 50% and up to 80% of the pot volume. When filled up to 80% with food and liquid, a 7-liter pot provides 4-member family with two meals (lunch and dinner). If the food is cooked for lunch, it is pulled out, served and once again put back into the box - thus ensuring the food to remain hot for dinner without having to reheat. The greater the food amount, the longer it remains hot. Small pots cool down faster than large ones. It is advisable to use pots with no opening in the lid - to avoid condensation and to slow cool-down of the food. It is advisable to lay down a cotton cloth to the bottom of the fireless cooker in order to prevent from pollution and to preserve additionally the insulating layer. One trick: When the foodstuff is placed in a small pot, next to it a second larger pot full of hot water could be set. This will slow down the cooling of the food in the small pot. After usage leave the fireless cooker open to ventilate and dry. Warning: Pots pulled out from a high temperature baking oven not to be placed immediately in the fireless cooker, but only after the temperature falls below 100 °C! The direct transfer of hot pots from a baking oven can damage the inner insulating layer of the fireless cooker! Warning: When removing pots from the fireless cooker use protective mittens or paws! Fireless cookers of HoSa Solar Ltd. are made of materials that do not emit harmful substances and are completely harmless to the stored food. The safe hot food temperature preventing from food poisoning is 60 °C. Cold food should be stored at temperatures below 4 °C. If cooked food needs reheating, make sure it is again heated above 60 °C, to minimize the risk of food poisoning. Grossi external dimensions are 563 x 422 x 330 mm. Grossi could be placed on a kitchen countertop or on the floor. Grossi can be used as a furniture. Can be placed in the kitchen, but also in another room. Outer surfaces of Grossi do not heat up during operation.